Festival ends and “summer” starts with a bang! Subscribe to my newsletter to get up-to-date news. You can also follow me on Facebook. Come hear my trio in this rare downtown performance. I’ll sing while you sup at The Three Muses, on the best food on Frenchmen Street. Mmmmm…tapas. My trio is here pretty much every Friday (except the 23rd, when the amazing Cindy Scott will be subbing for me), trying out new sounds and enjoying great wine! 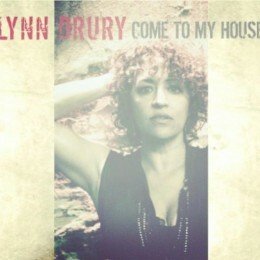 I am so excited to be backing up Lynn Drury at the release concert of her latest album “Come to My House,” at Chickie Wah Wah on Saturday, May 17 at 9pm. I’ll be singing backup with some musical phenomena. If you can’t make it to the show, you can buy the amazing CD, produced by the Grammy winning producer, John Porter (The Smiths, B.B. King, Taj Mahal, Ozzy Osbourne, Elvis Costello, Santana) today. Festival season is upon New Orleans. It gets hot, and it’s hard to find a place get off your feet and listen to music in a comfortable atmosphere. I aim to fix that for you. 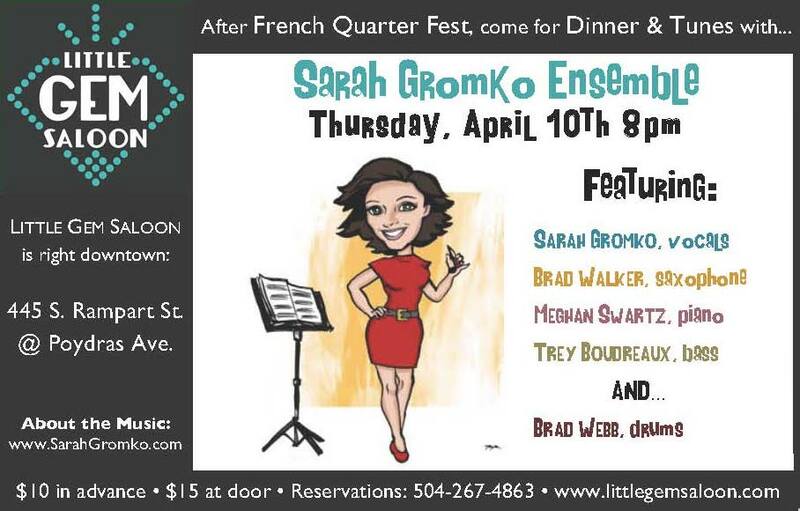 On the first night (and within walking distance) of French Quarter Fest, come eat dinner and listen to some original and intricately-arranged modern jazz right downtown at Little Gem Saloon. I FINALLY get to present my music in New Orleans with it’s intended instrumentation. On the Classical Stage at St. Mary’s Chapel, we will be performing a preview of upcoming classical concert material, as well as reprising international folk pieces. The first annual PearlFest is within walking distance from the Fairgrounds that hosts JazzFest. This is a perfect way to unwind before the late night shows, with an intimate, air-conditioned, seated, and audible atmosphere. I will pay homage to the Great “Fitzgerald” Songbook, accompanied by my trio. I promise to “deliver an upper-echelon change of setting” (All About Jazz) from the heat and chaos of the outdoor festival. My New York band’s concept album, Convert Augustine, will be reprised and complemented with other, newer compositions in this pop/jazz fusion concert. Electric bass and guitar and polymetric rhythms set a solid foundation for some soaring vocals. During normal times, I can be heard every Friday at Pearl Wine Co., but I hope to see you inside at one of these festival concerts! 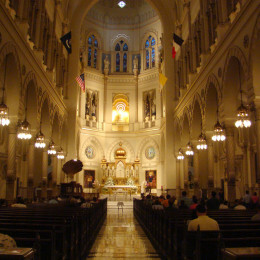 I am being commissioned to compose a Psalm for Christmas Midnight mass at the New Orleans Jesuit Church. I submitted a few of my old liturgical pieces to the musical director for possible inclusion in our liturgy, and he asked me to compose a brand new piece for flute, two violins, cello, organ, soloist, and chorus! I am a lso in the planning stages for a new album. When I went through my music a few months ago, I saw I had 40 unrecorded originals! I’ve been performing some of them regularly, and I will probably write some new ones to fill out the theme. I’m especially excited to include a larger ensemble piece used as interludes throughout, much as I did with Merton’s Prayers on my first album. I’m playing with a lot of new people, introducing our musical collaborations on each of my nights in my monthly residency at Pearl Wine Co. 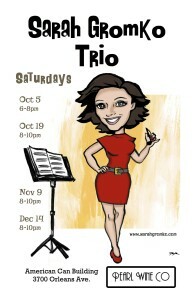 The next one is on November 9th (NEW TIME: 9-11pm) with Jenna McSwain on keys and Trey Boudreaux on bass. 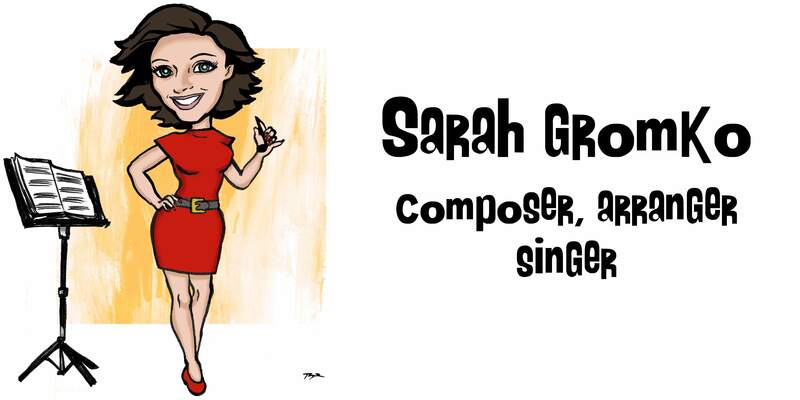 I often forget about my music biz work for other musicians soon after I provide it, but thank goodness they don’t! I’m excited to now be working for Al “Carnival Time” Johnson, Evan Christopher, author Jacob Mendelsohn, and a soon TBA Musicians’ Advocate. …from my October Newsletter You can sign up here. I have been telling everyone about Pearl Wine Lounge, and it’s not just because I play there. This cozy wine lounge has events every day, and an unsurpassed selection of wine, thanks to the shop next door, where you can grab anything for retail and just pay a corkage fee! I play there as a duo or trio on a regular basis, and have been meeting some great people in doing so. Brian Seeger has been my regular foundation on guitar, but we are adding more and more guests to the roster. You can see us this Saturday, 6-8 with bassist Ted Long. Last Thursday, I had the honor of joining clarinetist Evan Christopher‘s Clarinet Road to celebrate Gershwin’s birthday, with a night of his and Ira’s music and a 5-course wine-paired meal. The band was the same one that graced the stage of this year’s Chicago Jazz Festival, with Joe Ashlar on keys, Don Vappie on bass and guitar, and Ocie Davis on drums. It was such an amazing opportunity to be their vocalist for the night, and the experience changed me. My vocal chops are being worked with this season’s program with the Symphony Chorus (the official Chorus that accompanies the Louisiana Philharmonic Orchestra). We’re doing a world premiere at the WWII Museum on November 11th, Britten’s piece on WWII at the Mahalia Jackson Theatre on November 22nd, and this Saturday, 8-11: the Saenger Opening Gala Concert with Kristen Chenoweth. Forgive my moment of proselytizing, but I joined the recently formed, but impeccably directed chorus (by Paul Wattingly, formerly of St. Patrick’s) at my parish, Immaculate Conception. For those of you looking for a parish that is realistic about life and knowledge-seeking with a spiritually-uplifting musical experience, I invite you to come to the 7:30 mass at the Jesuit Church, 130 Baronne Street (in the CBD). Much love to all of you. I can’t thank you enough for the the love you’ve thrown my way. Things in life have shifted, and with it has my focus. Moving to New Orleans 2 years ago, and seeing the need for musicians’ professional services, I put aside my own life-long music career to help the amazing musicians in this city with their own. Now that I’m back to the manuscript paper and bandstand, I don’t know how I ever left it. 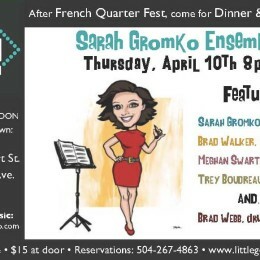 I’m still in the infancy period where I am overly excited about everything I am participating in, so I have my work with the Symphony Chorus of New Orleans, guest appearances with seasoned artists and in sacred settings, as well as my own gigs featured here: all of them, in my opinion, worth checking out! 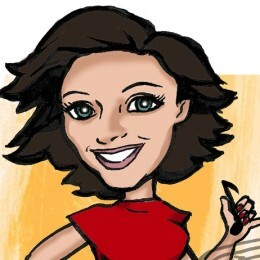 I would like to give a special shout-out to Kevin Thayer, who created my new, amazing logo. His work is phenomenal, and you can find him live painting at music events around New Orleans on a regular basis. Thank you New Orleans, as well, for teaching me what music really means and helping me reconnect to the true meaning of musical expression. Stay tuned as the website develops and content is added!